6 Ways To Cope With Daily Anxiety - It's a Story. Before I start writing about chronic illness and mental health in depth, I wanted to share some of my quick tips for combatting day to day anxiety. These six things have helped me manage my anxiety in real life while I attempt to find lasting, medical relief. I hope they help you too! Using my affiliate amazon links to purchase these (or other items) will help support this starving artist at no extra cost to you. 1. One of the most beneficial things I’ve found for stopping anxiety quickly and naturally is to take a bath with Epsom salts. Depending on your preferences, you can buy unscented or scented salts. Use a cup or two (or more) in a hot bath, and soak for at least 30 minutes. For those with chemical sensitivity I recommend finding some without scents. 2. To go along with scented or unscented salts, make your bathroom a comfy oasis. 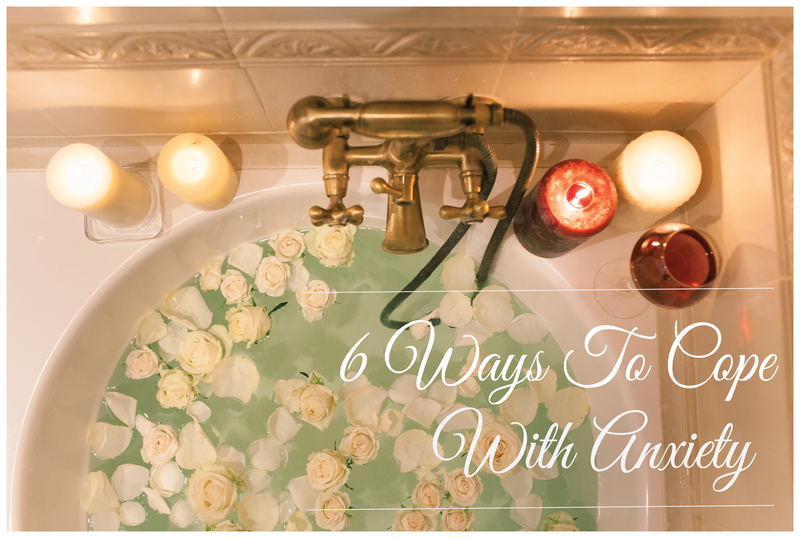 Even a bath without Epsom salts can help relieve some anxiety if it’s a relaxing environment. Light some candles, dim the lights, and breathe. Those 30 minutes are your time to relax. 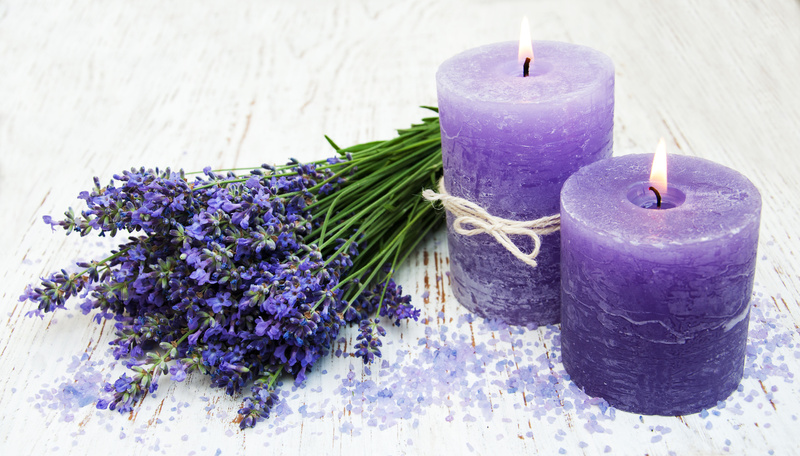 Again, for those with chemical sensitivity, soy and essential oil based candles are much, much healthier. 3. One of the most painful things about having severe anxiety is the insomnia or the constant nightmares. I absolutely cannot recommend getting a weighted blanket enough. The first night I slept with one was the best sleep I have ever had. They are priced differently based on size and weight. Here’s a good chart for determining the appropriate weight. But everyone is different, I’m 5’6″, weigh 116 lbs. and I have a weighted blanket that’s 16 lbs. Here are several different versions of weighted blankets. One blanket is for adults, and it’s about middle of the road as it comes to price. There are plenty of options for younger children or smaller adults that are less expensive. This is one example. The one I recommend personally though is this AMAZING fluffy, soft, and perfect weighted blanket. It’s definitely on the pricier side, but 100% worth it. 4. One more small but lovely thing to help with anxiety, (especially for those living in the Midwest.) Oversized, cozy socks!!! 5. Art is a very therapeutic way to cope when the anxiety is just beneath the surface but still bearable. Watercolor is my absolute favorite medium for stress and anxiety relief. It doesn’t even have to be pretty! Messy just works with watercolors. While I’m not a particularly talented painter, I do LOVE Koi watercolors. You can certainly buy cheaper ones though. 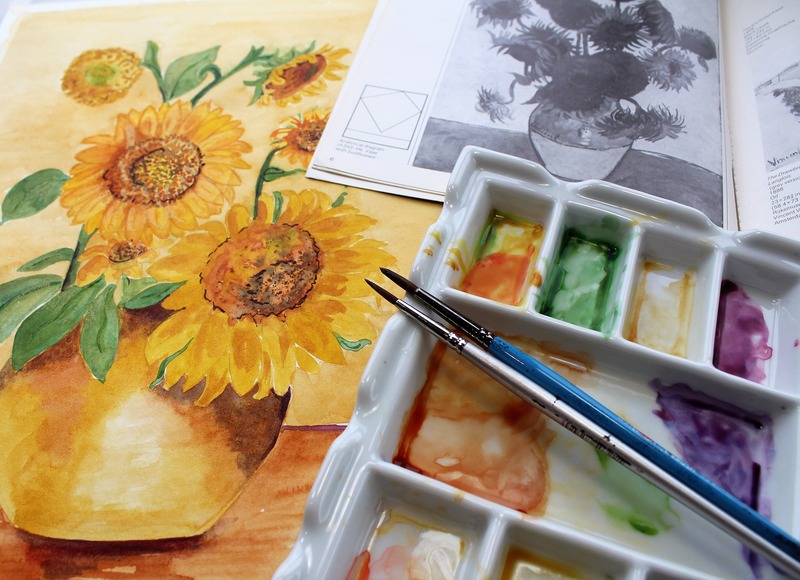 It’s all about just painting and not really worrying about the perfect result. I will say though, watercolor brushes changed things for me. They made watercolor painting portable. 6. Last but not least, daily yoga exercises (even the simplest ones) and calming music help me work through anxiety when it gets really bad and I have no alternatives. A simple yoga mat or soft blanket is all you need. A great resource for free yoga lessons is Yoga With Adriene! 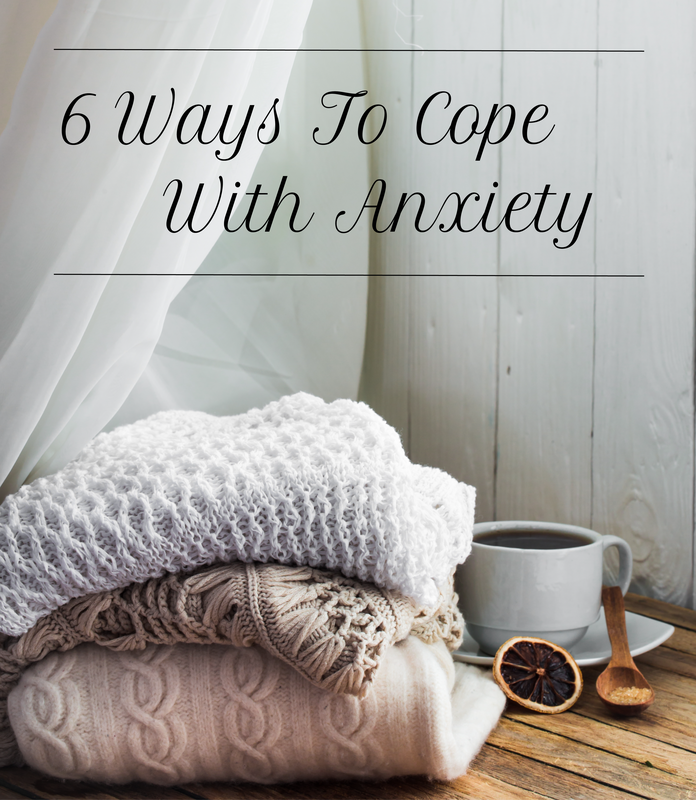 Those are 6 of my tried and true anxiety solutions. Obviously they don’t fix the anxiety, I know that for sure. But they may just help you get through the day. « Bloggin’ Buddies – Connect With Other Bloggers! Music and nature for me! It helps me calm and get back on track! Your page is pretty like you and interesting too! Very helpful tips. I too suffer from anxiety. I do love to take a warm bath and music is always helpful for my soul! Thanks for sharing!